Zandvoort bars vary a lot in this beautiful seaside resort and you will generally find the best ones either at beach pavilions or in the village centre. In the summer months, the beach café or pavilion bars stay open until late, usually bustling with people, many of whom are day-trippers from Amsterdam. Loud music and a lively atmosphere are usually the main features of these cafes but they are great place to hang out and meet new people. Down in the village, the bars can be just as lively though there are small, quiet bars to be enjoyed as well where you can also have a decent meal and chat with friends a little more easily. 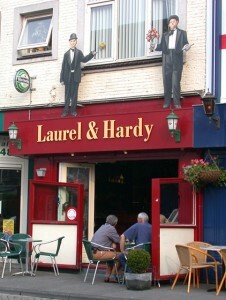 Some bars are even themed such as the Laurel and Hardy bar in the Haltestraat. 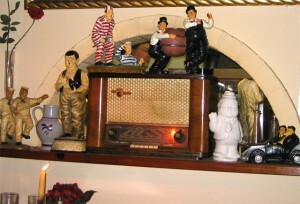 This bar is owned by Ron who in his spare time, being such a fan of the celebrated comedy duo frequently dresses up as Oliver Hardy either to go to a special L & H convention or indeed just to entertain friends. This really is a wonderfully friendly and characterful bar and inside you’ll find it’s decorated with memorabilia from the famous comedy duo’s era. 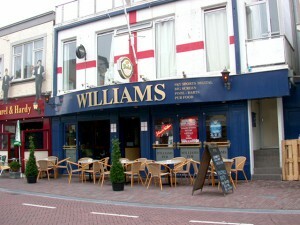 An English Pub in Zandvoort? One of the most unusual of the Zandvoort bars is next door to the right of the Laurel and Hardy bar, at Haltestraat 44 and this is the Williams pub. This establishment has all the look and feel of a real English pub (British pub). It is both run by and mostly frequented by British people and here, darts and pool may be played and traditional style English food may be eaten washed down with English beers. They even have Sky TV and a large screen on which one can generally see any important sports fixtures. 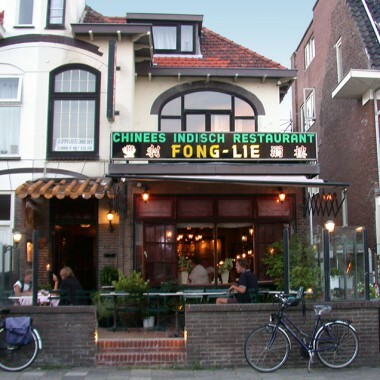 This English pub style bar of course is very popular with British workers staying in the area as well as with the Zandvoort locals.